Apple has a very expensive last-minute Christmas present for you: the just-released iMac Pro is the company’s “most powerful Mac ever” – and the most expensive, starting at the modest price of $6,299 CAD. Having been first unveiled in June at Apple’s WWDC, the iMac Pro is aimed directly at Apple-using creative professionals who, until now, have had to make do with the ageing and comparatively cheap Mac Pro or the even cheaper consumer version of the 5K iMac. 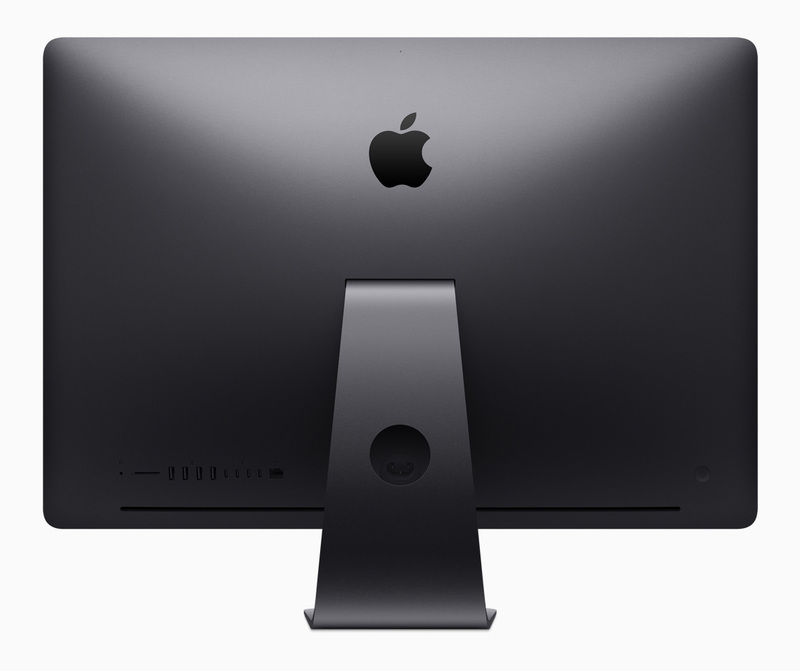 Apple today released iMac Pro, an entirely new product line designed for pro users who love the all-in-one design of iMac and require workstation-class performance. With Xeon processors up to 18 cores, up to 22 Teraflops of graphics performance, and a brilliant 27-inch Retina 5K display, iMac Pro is the fastest, most powerful Mac ever made. 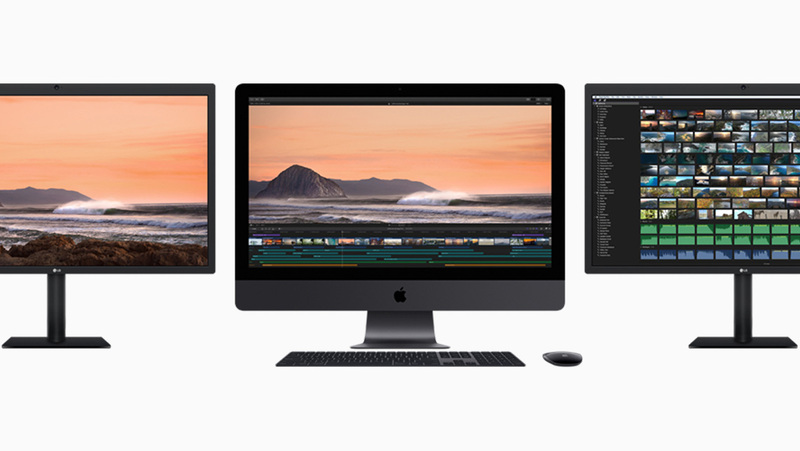 iMac Pro delivers incredible compute power for real-time 3D rendering, immersive VR, intensive developer workflows, high megapixel photography, complex simulations, massive audio projects and real-time 4K and 8K video editing. Built around a 5K resolution 27″ display, the key change between the new iMac Pro and its non-Pro equivalents is in the design of the cooling system. According to Apple, the iMac Pro is capable of dissipating 80 percent more heat than its older iMac designs, which has in turn allowed the company to cram in significantly more computing power: The machines top out with an 18-core 36-thread (18C36T) Intel Xeon processor and AMD Radeon Pro 64 Vega-based graphics processor paired to 16GB of on-package High Bandwidth Memory 2 (HBM2). While the computer is a near-match physically with the current iMac, the rear is completely different. The computer has 4 Thunderbolt 3 ports, which run on two separate controllers, 2 ports each, in addition to 4 USB 3.0 A ports and SD slot and, for the first time ever, a 10 Gigabit ethernet port right on the back. 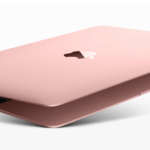 The 5K display is the same as the one that ships with current iMacs, and the computer comes in 1, 2 and 4 Terabyte SSD options for storage. Another important change is the fact that owners can now remove the stand from the iMac entirely and VESA mount it. Previously, one had to either use an after market solution to mount an iMac or order it from the factory with the stand deleted, allowing for mounting. Check out Apple’s press release for the desktop here, and buy it (!!!) here.